Q1. Who is eligible to take the exam? Holding Bachelor’s Degree with at least 50% marks or equivalent CGPA [45% in case of the candidates belonging to Scheduled Caste(SC), Scheduled Tribe (ST) and Person With Disability (PWD) categories], awarded by any University or educational institution as incorporated by an Act of the Parliament or State legislature in India or declared to be deemed as a University under Section 3 of the UGC Act, 1956, or possess an equivalent qualification recognized by the Ministry of HRD, Government of India. Possessing an equivalent qualification recognized by the Ministry of HRD, Government of India (including the Associate Membership Examination (AMICE) of the Institution of Civil Engineers (India) as an equivalent qualification). The percentage of marks obtained by the candidate would be calculated based on the practice as followed by the respective University/Institution. In case of grades / CGPA, the conversion to percentage of marks would be based on the procedure as certified by the respective University/ institution. If any University/institution confirms that there is no scheme for converting CGPA into equivalent marks, the equivalence would be established by dividing the candidate’s CGPA by the maximum possible CGPA, and multiplying the result with 100. Candidates appearing for the final year of Bachelor’s degree/equivalent qualification examination and those who have completed degree requirements and are awaiting results can also apply. However, it may be noted that such candidates, if selected, will be allowed to join the programme provisionally, only if they submit a certificate from the Principal / Registrar of their University/institution (issued on or before the date as stipulated by the respective IIM) stating that they have completed all the requirements for obtaining the Bachelor’s degree/equivalent qualification on the date of the issue of the certificate. IIMs may verify the eligibility at various stages of the selection process, the details of which are provided at the website www.iimcat.ac.in. The CAT application data is treated as final, and no change in it is permitted at a later stage. Any variation in data provided at the CAT selection stage with the actual data will lead to nullification of candidature. Q2.I have completed my Bachelor’s Degree. Do I need to submit the overall percentage of marks or as per my University standards? As per CAT 2017 eligibility criteria, you must submit the percentage according to your university norms. Q3.I have not completed my Bachelor’s Degree/I am in final year of Bachelor’s degree. What marks do I need to enter in the Application form? As per the CAT 2017 eligibility criteria, you must provide the Aggregate Percentage up to the last marks statement received from the University. Q4. I am not pursuing or completed my Bachelor’s degree or any Professional degree like CA/CS/ICWA etc., Am I eligible to appear for CAT 2017? As you are not appearing/ completed any Bachelor Degree or not completed any Professional degree like CA/CS/ICWA etc., you are not eligible to appear for CAT 2017. Q5. I have completed my 10th/12th standard from CBSE Board. Do I need to enter the marks mentioned on the Mark list? As per the CAT 2017 criteria, you must mention the Aggregate Percentage of marks (computed using the conversion formula specified by CBSE for converting CGPA into percentage of marks) for all subjects irrespective of your Board regulations. Q6. Can I appear for CAT for practice purpose, though I am aware that I am not eligible? No. You must fulfill the eligibility requirements to appear for CAT. Moreover, appearance in the CAT shall be considered as an attempt. Q7. Is there any age restriction for taking the CAT exam? Q8. What is the fee for the CAT exam? The fee is ₹900 for SC, ST and PwD category candidates and ₹1800 for all other categories of candidates. Q9. Where can I pay the CAT exam fee? You can pay the CAT exam fee during online registration. Use a valid credit card, debit card, or netbanking facility. Q10. When and how do I register for CAT 2017? Online registration for CAT 2017 opens on Wednesday, 9th August 2017 10:00 a.m. and closes on Wednesday, 20th September 2017 05:00 p.m.
Q11. Can I use my coaching institute’s or a friend’s email address when registering for CAT? No. You must provide a valid and unique email address. All correspondence pertaining to CAT 2017 and subsequent information during the selection stages of the respective IIMs will be communicated to the registered email address. Q12. When will CAT 2017 be held and can I choose an exam date? The CAT exam will be held on Sunday, 26th November 2017 with two sessions (forenoon and afternoon). Based on your selection of preferred test city, you will be allotted the session slot, test city, and test centre, subject to availability. Q13. From where can I get the list of exam cities? List of exam cities will be available on the CAT website before the start of registration. Q14. When will I get my Admit Card? The Admit card will be available for view and print from Wednesday, 25th October 2017, 1:00 p.m. onwards. The Admit card will appear only if your online application form is submitted successfully. You will receive an automated email confirmation upon successful submission. You can then log into the CAT website using your registered User ID and view/print the Admit card. Q15. What details will be mentioned in the Admit Card? Q16. Will the Admit Card be sent to me as a hard copy or by mail? The Admit card will be available on the CAT website only. You must log in using your CAT 2017 User ID to view/print the Admit card. The Admit Card is a mandatory document required to take the exam. You must print the Admit Card and bring it to the exam centre on the day of the exam. Q17. Are there any special provisions for Person With Disability candidates? Yes, there are special provisions for PWD candidates. Please refer the FAQs for PWD Candidates section for more details. Q18. What are the time slots for CAT 2017 exam? CAT 2017 will have two sessions: Forenoon and Afternoon on Sunday, 26th November 2017. Candidates will be assigned a single session depending on the test centre availability and city preference. Q19. Can I appear for more than one slot for CAT 2017? You cannot appear for more than one slot. It will be deemed as a fraudulent activity if you attempt to appear more than once for CAT 2017. To ensure that candidates have only one attempt, Admit Cards, photo IDs, candidate pictures, and biometric information will be verified. Candidates who attempt to take the test more than once will be eliminated anytime during the selection process. Q20. I have made mistake(s) while registering / entering the details in my CAT 2017 application. What should I do now? You cannot edit personal details (Personal details, other personal details, communication address, uploaded documents) and any details in academic section except percentage marks scored after making payment. If you have made a mistake in these details, you must register again with a new email ID. Your CAT 2017 application will be considered for the latest registration and the Admit Card will be issued for the same. Please note that, you will not receive a refund or Admit Card for your earlier registration. Failure to re-register in such circumstances may lead to nullification of your candidature. You can edit some personal details, such as communication address, gender, category, educational information, work experience, exam city preferences and interview city preferences etc., until you have not submitted the Application Form. To do so, click the Existing User Login option on the CAT website. After you submit the application, there will be a limited time window during which can you modify very limited details like percentage of marks scored, work experience, programmes names / interview city centers. You can only view and print after this. Details are available on the application submission page. You are strongly encouraged to preview your application before submission to ensure that all the details are correct. Q21. What are the timings to contact the Candidate Helpdesk? The FAQs, online guides, and videos are designed to enable self learning. You are requested to use these tools to guide you through the entire process and help answer most of your queries. In case you still face issues, the CAT Candidate Helpdesk is available by phone, Monday to Saturday from 9:00 a.m. To 5:30 p.m. The CAT Candidate Helpdesk is closed on Sundays and on National/Public holidays. Q22. If I do not get my Admit Card, whom should I contact? The Admit Card needs to be directly printed from the CAT 2017 website using your User ID and Password. It will be available for printout from Wednesday, 25th October 2017, 1:00 p.m. onwards. The admit card will not be mailed to your postal address. Q23. In case the website does not work and I am unable to complete my application, what should I do? Q24. I have not completed any graduation course but I am in the final year of a professional course, am I eligible for CAT 2017? Completed Bachelor’s degree with the required percentage of marks*. Completed professional degree (For example, CA) with required percentage*. *SC/ST/PWD candidates should have minimum 45%. For General and NC-OBC candidates, minimum percentage is 50%. Q25. I am a General category candidate and got 49% in the Bachelor’s degree. I have also completed Master’s degree with 51%, am I eligible to apply for CAT 2017? No. As per the CAT eligibility norms, you should have obtained 50% or more in the Bachelor’s degree. Q26. I am a PWD category candidate with 44% in the Bachelor’s degree and 46% in the Master’s degree, am I eligible to apply for CAT 2017? No. As per the CAT eligibility norms, you should have obtained 45% or more in the Bachelor’s degree. Q27. I have completed my Bachelor’s degree in May-June 2017 but have backlog, am I eligible to apply for CAT 2017? Yes, as per the CAT 2017 eligibility norms, candidates who are completing their degree by May 2018 are eligible to appear for CAT. However, the candidate should select Yes to the question “Are you in the final year of Bachelor Degree”. Q28.A) I have done 5 years integrated course of B.Tech and MBA. As per my university norms first 3.5 years is considered to be B.Tech and remaining 1.5 years is considered to be MBA. How do I enter my marks? As per your University norms, you will enter the aggregate percentage of first 3.5 years under Bachelor’s Degree and remaining 1.5 years under Master’s degree. Q28.B) I have completed 5 year dual degree course (BTech+MTech, BS+MS, BTech+MSc etc.). How do I enter my marks for bachelor degree? As per your university norms, you must enter the aggregate of marks that are equivalent to Bachelors’Degree under the Bachelor’s Degree section and the equivalent Marks for the Masters’ degree under the Master Degree section. Q28.C) I have completed dual Bachelors’ degree courses (BCom+LLB, BPharm+BTech etc.). How do I enter my marks for two Bachelor degrees? On the CAT application form, you must select the option indicating that you have dual Bachelors’ Degrees. You can then enter the details of both qualifications. Q29.A) I have an SC/ST certificate in the format uploaded on the CAT 2017 website. Can I use the same certificate or do I have to download the certificate template from the CAT website and fill it again? The certificate should have been issued by a competent authority. The name of the caste and caste number should appear in the certificate. The Ministry's resolution/order number should be available. The certificate should be in Hindi or English only. Q29.B) Is there a validity for NC-OBC Certificate? Refer the Government of India website www.ncbc.nic.in for details. Q29.C) Which authority issues the NC-OBC certificate? Q 29.D) I have a valid OBC (Non Creamy Layer) certificate in the similar format uploaded on the CAT 2017 website. Can I use the same certificate or do I have to download the certificate template from the CAT website and fill it again ? Q30. I have changed my name with due procedure after completing my degree. Should I enter my name as per the degree certificate or the changed name? You must enter your changed name and provide the supporting documents for change of name at the time of examination, interview, and admission. Q31. Which screen appears after I log into the website post registration? After successful registration, you can use the system generated User ID and Password to log in to the website. Upon logging in, you will first see the Registration Summary page. Click on Go to Application Form. This will direct you to the application form page. Q32. What should I do if I have not received the password or have lost the SMS? If you have not received the password or have lost the SMS, click the Forgot Password option on the Existing User login page. You will be prompted to enter a Captcha string. The new password will be sent on your registered email address. Regenerated passwords will not be sent as an SMS. Q33. I have received multiple passwords. Which password I should enter to login? You need to use the password contained in the most recent SMS you have received. In case you are not able to login, you can simply use your user id and click ‘forgot password’. You will receive a new password through email on your registered email id. Q34 . University name is not mentioned in the drop down list while filling the application form? If your university’s name does not appear in the drop down, you may select option as “Others” from the drop down. Q35. Which documents are required to be uploaded during filling of the application form? 1. If you have chosen NC-OBC or SC or ST as the category, then you need to upload the relevant certificate. Q1. Under which categories can I apply for CAT? Until further communication, all candidates applying under the NC-OBC category shall be inevitably considered under the NC-OBC category, provided they meet the NC OBC eligibility as explained in question number (Q3) below. No changes in the category will be entertained after the closure of registration window. Q2. Which documents must I submit if I belong to the SC/ST category? If you belong to the SC or ST category, your caste/tribe must be listed in the Government of India schedule. For more information, refer the Ministry of Social Justice and Empowerment website (http://socialjustice.nic.in/Home) and the Ministry of Tribal Affairs website (tribal.nic.in). Q3. Do I belong to the NC-OBC category? To know whether you belong to the NC-OBC category, see the following website: http://www.ncbc.nic.in. Refer the updated list of state-wise OBCs eligible for availing the benefit of reservation, and information in respect of the creamy layer. Q1. Is CAT an online exam? CAT is not an online exam. It is a digital or Computer Based Test (CBT); not an Internet-Based Test (IBT); that is, a candidate will not take the exam on an internet site. Instead of reading the questions in a paper booklet and darkening the ovals on the answer-sheet, a candidate will read the questions on a computer terminal and choose an answer by clicking on the correct option. In the computer-based format, the candidate reads a question on a computer terminal and clicks on the correct answer from among the options given or types the answer in case of question where no options are given. Additionally, the timer on the computer screen tells you the remaining time to complete the current section. A candidate must take the exam on a workstation assigned at the test centre based on the test cities selected while registering for CAT. The test centre details will be printed on the Admit Card. A practice test will be available on the CAT website: www.iimcat.ac.in. You can familiarize yourself with the functionality and navigation of the actual exam. The CAT 2017 Mock Test link shall be available by the end of October 2017. The exam shift (forenoon or afternoon) is allocated for each registered candidate based on the city preference made at the time of application. A candidate cannot select the shift. Q6. How many sections are there in CAT 2017? Candidates are prohibited from bringing calculators to the testing centre. You may use the onscreen calculator that will be available throughout the exam. You must answer the sections in a pre-specified order and this order will remain same for all the candidates. Q12. Does CAT 2017 have a syllabus for exam preparation? No, the CAT exam does not have a defined syllabus for CAT preparation. However, you can attempt the mock test to understand the pattern of exam and types of questions. Check the CAT website regularly for the announcement of mock test. Q1. Who is eligible to take the test under the PWD category? As per the The Rights of Persons with Disabilities Act, 2016 (RPwD Act 2016), persons with benchmark disabilities qualify for reservation of seats under PwD category. “Person with benchmark disability” means a person with not less than forty percent (40%) of a specified disability where specified disability has not been defined in measurable terms and includes a person with disability where specified disability has been defined in measurable terms, as certified by the certifying authority. e) multiple disabilities from amongst persons under clauses (a) to (d). Candidates are advised to go through the RPwD Act 2016 carefully to ascertain if they belong to the PwD category. Q2. What are Testing Assistive devices? Testing Assistive devices (TA devices), also known as technical aids, are designed to directly enable candidates with disabilities to perform a particular task successfully. Q3. Which are the acceptable testing devices that I can use/bring to the test centre? Q4. Will the means of testing assistance be provided to me directly at the test centre? Based on your request in the Application Form, only a magnifying screen (System Built feature) and a wheel chair will be arranged by the test centre. All other approved means of testing assistance including abacus, hearing aids, wheelchair, Scribe/reader need to be arranged by you. Q5. I am a PWD candidate with Blindness or low vision/cerebral palsy. What privileges will I receive on the test day? PWD candidates suffering from low vision/blindness/cerebral palsy will be allowed to bring a scribe. Such candidates will also receive a time extension during the examination. Q6.What will be the time extension given to a PWD candidate? PWD candidates with or without Scribe requirement will be given a time extension of 20 minutes per section, which comes to a total extension of one hour for the full test. Q7. Is there an eligibility criterion for a scribe/reader? There is no eligibility criterion. On the day of the test, the scribe must bring a valid proof of identity and a passport sized photograph, and sign a declaration about his/her educational qualifications at the test venue. Q8. Do I have to fill a form to request for a Scribe/Reader? You need not fill a form to request for a scribe. You must indicate in the CAT application that you will be using a scribe. Please note that you will have to arrange for the scribe. Q9. Where can I register for the CAT 2017 test? PWD candidates, like General candidates, can register and submit the application for CAT 2017 on www.iimcat.ac.in. Q10. Where do I mail my PWD certificate for approval? You must upload the scanned copy of the PWD certificate while filling the online Application form. Q11. I have a PWD certificate in the format given on the CAT 2017 website. Can I use this certificate or do I have to download the certificate template from CAT 2017 website and fill it again? The certificate should have been issued by competent authority. The photo should be available in the certificate (if applicable). The certificate should be valid as per the RPwD Act 2016. The certificate should be in Hindi/English only. Q12.Will the extra one hour be distributed among 3 sections? Yes. For PWD candidates, the extra one hour will be distributed into 20 minutes for each section. That is, PWD candidates will have 80 minutes to attempt each section, while the other candidates will have 60 minutes per section. IIMs are considered India’s premier national institutes providing quality education in management and research. IIMs primarily offer post graduate, doctoral and executive education programmes. The flagship programme of IIM, is the two year post graduate diploma (PGDM) popularly known as Master of Business Administration (MBA). These two year programmes are residential in nature. The Fellow Programme in Management (FPM) is a fulltime doctoral level programme in management and research equivalent to Ph.D. degree. The Executive Post Graduate programmes are targeted for working professionals. Admission to the two year PGDM programmes in IIMs are on merit, based on a rigorous selection process comprising of Personal Interview, Written Ability Test / Group Discussions, and scores in the Common Admission Test which is commonly known as CAT. 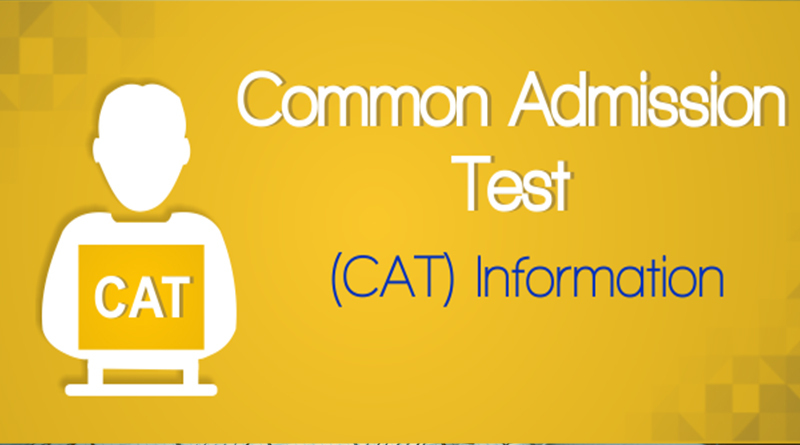 CAT is a management aptitude test conducted by the IIMs primarily to evaluate and shortlist candidates for the post graduate programme. It is a computer based exam available for eager and eligible candidates to register and take once a year. The Indian Institutes of Management are public establishments with autonomous control over its day to today operations and curriculum. Today, there are 20 IIMs as public autonomous institutes in India.